Obituary for Nancy M. Miller | Devlin-Rosmos-Kepp F.H. & C. S.
Nancy M. (Marshall) Miller, 88, wife of the late Mahlon K. "Chuck" Miller, of Phoenixville, PA, died on Wednesday evening, August 1, 2018 at home. Born on October 24, 1929 in East Falls, PA, she was the daughter of the late Harry F. and F. Mildred (Edwards) Marshall. Nancy graduated from Germantown High School and Pierce Business School. She worked for the Reading Railroad until they started a family. 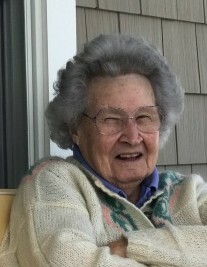 Nancy enjoyed socializing, family gatherings, trains, skiing, and the beach. She was known by many at local restaurants and stores and loved to do “her rounds”. Many folks joked that Nancy knew everyone. Her unwavering kindness and infectious laugh made her a favorite friend or relative of all. She had a great sense of humor. She was beautiful inside and out. She enjoyed attending her beloved grandchildren's school and sporting events and being surrounded by family and friends. Keith husband of Edna Miller; Barbara Miller; and Wendy wife of John Goggin. 3 Grandchildren: Caitlin Goggin, Christopher Goggin, and Ethan Miller. Relatives and friends are invited to attend her Funeral Service at First United Methodist Church, 865 S. Main Street, Phoenixville, PA on Tuesday, August 7, 2018 at 11:00 am with Rev. Mark Young officiating. Burial will follow in Morris Cemetery, Phoenixville. A viewing will be held in the Church from 9:30 to 10:45 am. In lieu of flowers, donations may be sent to Meals on Wheels of Phoenixville, 95 Second Ave., Phoenixville, PA 19460 or Phoenixville Historical Society, 204 Church St., Phoenixville, PA 19460. Arrangements by Devlin Rosmos Kepp and Gatcha Funeral Home & Cremation Services.